Last week, I was invited by my friend and fellow fly tier from Delaware, Ohio, Eric Austin, to join him and a group of his friends to stay at a private cabin for some fishing on Penn’s Creek. I’m pleased to say that Eric is one of the contributing tiers for my book in progress, Favorite Fishing Flies – 1892. Eric and I met on-line some years ago when he bought my first DVD,Tying Classic Wet Flies. Since then we’ve been in occasional contact, but more so over the last year during his tying of the flies from Mary Orvis Marbury’s 1892 book, Favorite Flies and Their Histories. It was great to finally meet Eric in person and to fish together to boot. We had a great time and some good fishing, but I plan to write more about that outing in a separate post. 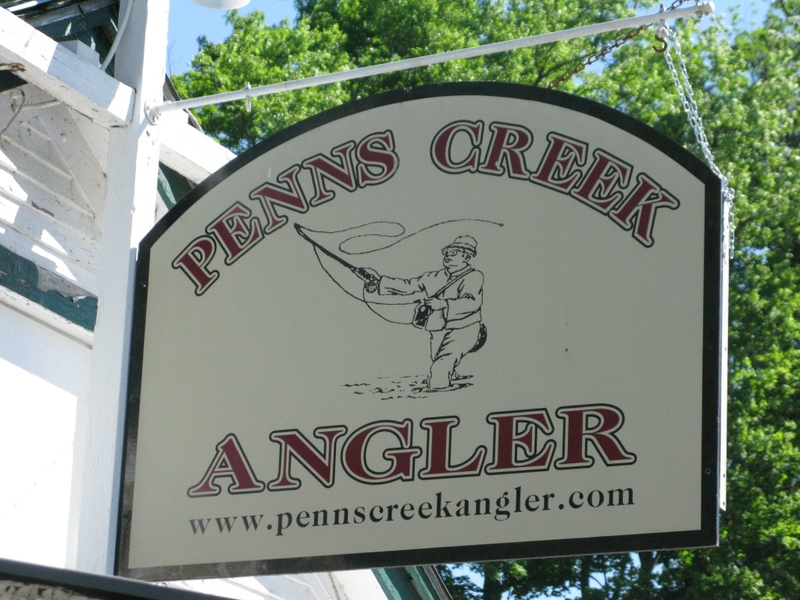 This writing is to publicize a fly shop that has been in business since 2007, but one that I was previously unaware of: Penn’s Creek Angler. Formerly located on Pennsylvania Rt. 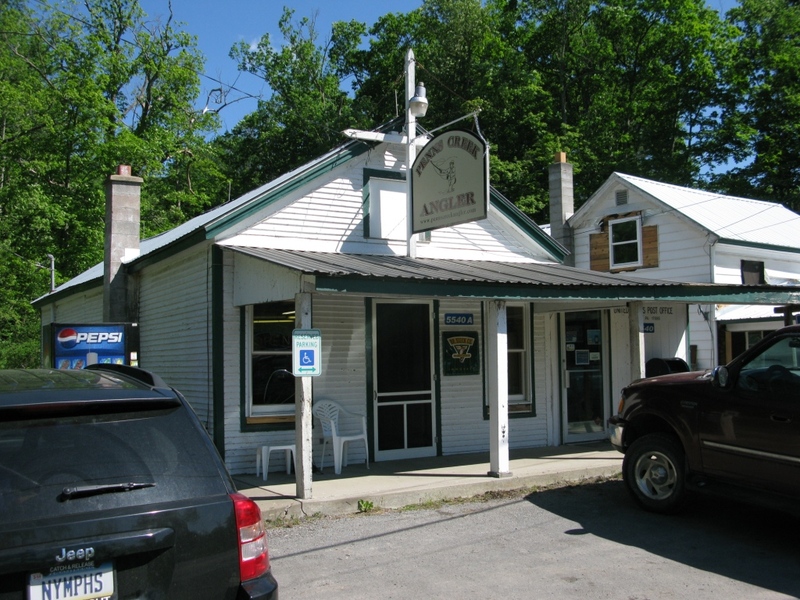 45, the Penn’s Creek Angler Fly Shop recently moved into the village of Weikert into the old Weikert Store, right next to the Post Office. It is in a great location near one of the best, if not the best, trout streams in the state of Pennsylvania. The phone number at Penn’s Creek Angler is: 570-922-1053. By the way, the famous Green Drake hatch has started on Penn’s Creek. There were large numbers of duns below Weikert, near the Penn’s Creek Campground, last Saturday afternoon and evening. In fact, one of the locals told us he didn’t think he had ever seen such a heavy, concentrated hatch of duns, occurring in the mid-afternoon, heaviest activity from 2:30 to 3:30 PM. We arrived about 7:00 PM, and my personal view was the density of Green Drake duns was pretty incredible. I’d never seen that many anywhere in my life. I caught an eighteen-inch brown on my BXB Green Drake Dun pattern that evening. More about that and our fishing in another post. Freshly hatched Green Drake dun. Photo by Don Bastian. 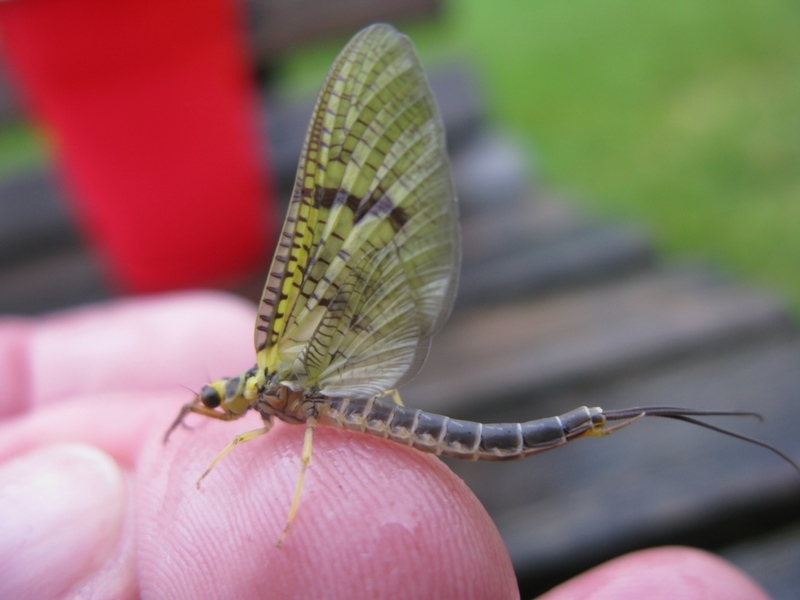 The large Green Drake female duns can have bodies nearly an inch-and-a-half long. Check the Penn’s Creek Angler Fly Shop website, there is lots of information there, photo galleries, and fishing information. Shop owner Bruce Fisher also has a cabin for rent; it’s located right on the creek.